It’s April and spring has arrived. 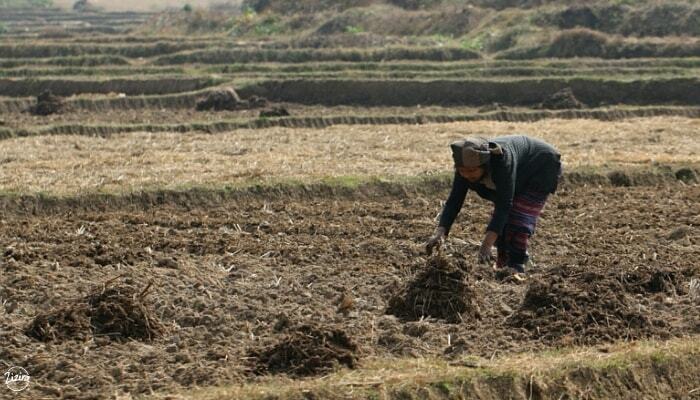 It is the month of planting season and farmers are busy preparing their fields to plant varieties of new crops. 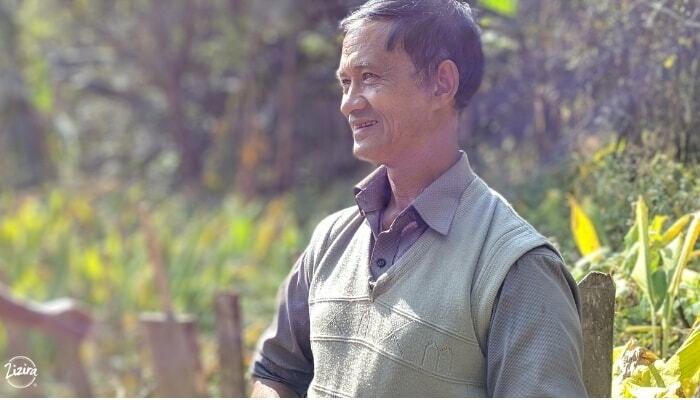 For Lakadong turmeric farmers the story is no different. Lakadong turmeric is special. There is none like it in the whole world. True, the powder’s colour may be a little dull, not bright yellow you often see in turmeric, but it has the highest curcumin content averaging 7.5% to 9.20%. 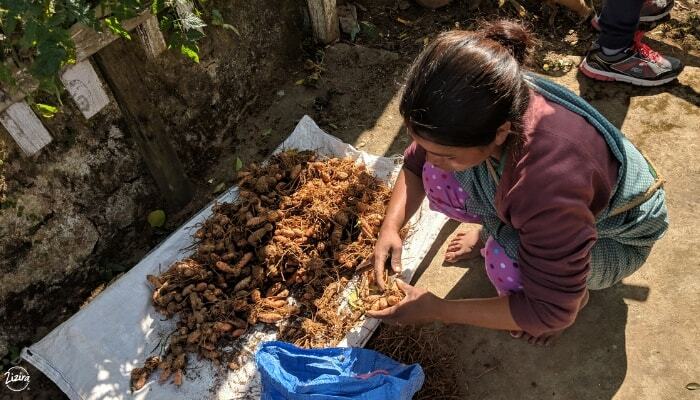 Making Lakadong turmeric from Jaintia Hills, Meghalaya the most sought after turmeric in the world and has earned its Geographic Indicator Tag. 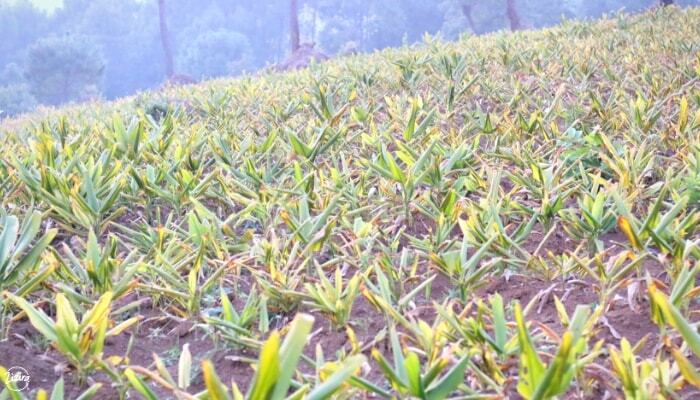 Meghalaya’s turmeric production is nothing compared to that produced by the southern states. But this is about to change with the state’s thrust on ‘Mission Lakadong’ that aims to increase production from the present 10,000 MT per annum to 50,000 MT in the next five years. Farming is a serious business and not all smooth sailing. If you are curious to know about the pre-planting activities and what goes on in the fields. You have to discover firsthand how the farmers go about their business of planting Lakadong turmeric. Know more about which Lakadong turmeric seeds farmers use, how they care for these seeds, and how they prepare them and the soil for planting. You can also learn more about what manure they use or whether they add fertilizers and pesticides at all. Or how long does it take for turmeric plants to mature? Planting season is the best season to find out everything about their methods. 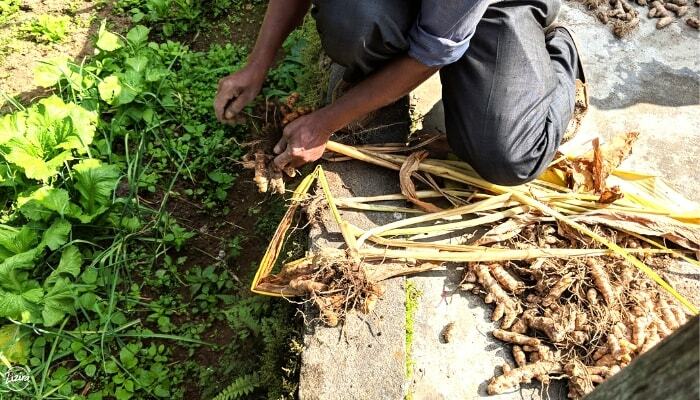 Here’s how the farmers go about preparing to plant their lakadong turmeric seeds. The best way to learn to farm is from the farmer. Our farmer partner, Bah Shadap is not only a farmer and one of our trusted suppliers but also our educator on everything traditional about Lakadong turmeric. While he is not involved in planting Lakadong turmeric on a large scale on his own, he is involved with other farmers who plant this turmeric. You can say he is sort of ‘farm manager’ because he goes to every farm to watch, hawk-eyed and ensure the farmers plant the way they should. Here’s some valuable information we learnt from him. Most of these farms are small homesteads scattered across the Lakadong turmeric belt which includes villages of Lakadong, Mookaiaw, Umchalait, Sahsniang, Iooksi and many others. The area is not big, not even 50 square kilometres, lying around the coordinates of 25°10’N and 92°16’ E at an altitude of around 610 metres. But it has the best soil for turmeric which explains the quality of the Lakadong. Lakadong turmeric farmers are choosy about selecting and preserving the best seed material for their future produce. Seeds will have to be free from any kind of blemish or sign of disease and of a healthy size and look. The seed material selected goes to a special basket or container for the next season’s planting. The harvested rhizome will have the mother rhizome which is fatter and bigger in size and finger rhizomes which are thinner and smaller. Farmers prefer to keep the mother rhizome for seed rather than the fingers. They say it develops fingers faster and gives a larger yield. A finger rhizome seed material will first develop into a mother rhizome before sprouting fingers. So, for this reason, farmers don’t sell mother rhizomes unless they aren’t quality seed material. Month of March is the time for preparation of the soil. The temperature hovers around 14°C at the minimum and 24°C at the maximum on an average. Rainfall is around 500 mm which is necessary to soften the soil for tillage. In April there is a slight 1-2 degree rise in temperate and rainfall is around 450 mm. Apart from soil conditions, these pre-planting and planting time rainfall and temperature conditions are crucial for a good Lakadong turmeric crop. As the months advance the temperature and humidity increases, gradually declining towards the end of the monsoon season in September/October. The overall yearly average minimum/maximum rainfall requirement is 15°/24° C and rainfall is 5100 mm. This rainfall is usually sufficient for the crop and no irrigated water is necessary. Lakadong farmers have traditional pre-harvest cultivation practices. March-April showers enable them to prepare their land, clearing it of weeds, bushes and other vegetation. 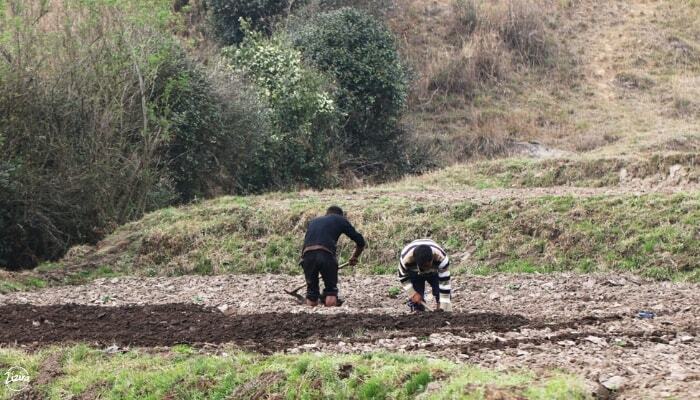 They plough and beat the soil to a fine tilth, usually with a handheld hoe (mohkhiew) or tractor, if they can afford it. April is the ideal month to plant because the next few months will see the monsoon rains that provide the much-needed water for the young plants. The farmers make ridges and furrows to place the seed material in within rows, usually half a metre apart from each other plant to plant and row to row. Usually, the farmers do not apply manure as the soil is well fed with nutrients from the decomposed plant material. If they use manure at all that will be fully decomposed farmyard manure such pig or cow dung, either spread the manure over the land during preparation or filling it in the seed pits at planting time. Farmers drop in 2-3 seed rhizomes into the pits or rows and then cover with soil. 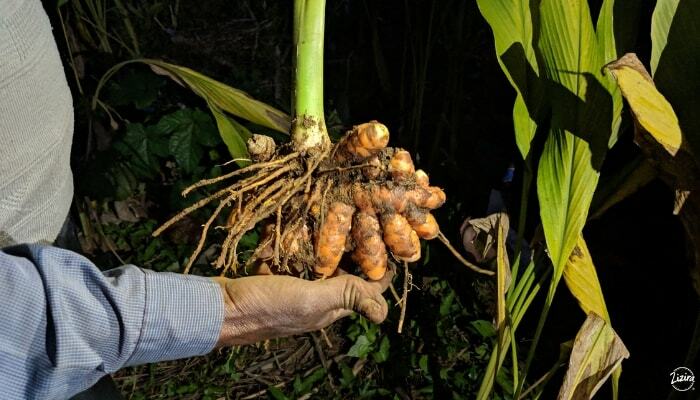 Lakadong turmeric farmers are careful in avoiding the use of chemical fertilizers or pesticides even if this means lower yields and attacks by pests and diseases. They are keener in preserving the heritage of their method of cultivation. Almost all farmers plant other crops such as maize, chillies, aubergines or okra as mixed crops alongside Lakdaong turmeric. 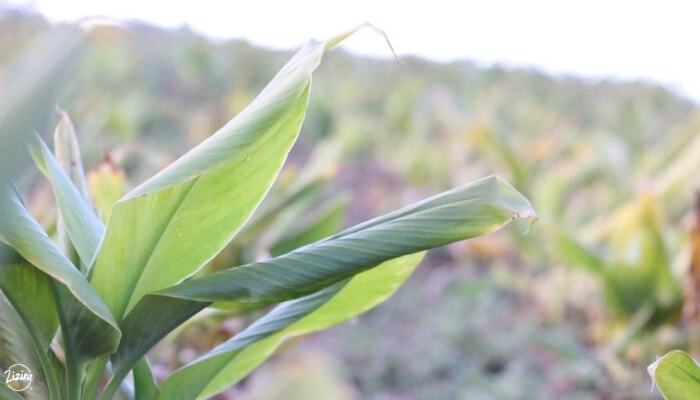 To conserve moisture farmers cover the area with mulch such as leaves or straw. The following weeks and months aren’t easy for farmers. In less than a month’s time, weeds will start to appear, necessitating immediate weeding action. Thereafter, throughout the nine months of crop duration, they weed at periodic intervals depending upon the intensity of weed growth. By the months of December/January, the stems and leaves show tell-tale signs of wilting. This drying of the aerial parts indicates that the crop is mature enough for harvesting. Farmers then carefully dig into the earth with hoes to lift the clusters of rhizomes, tapping them to clear off mud and earth. Each rhizome cluster usually carries 8-12 finger rhizomes. The next procedure is the sorting and grading during which roots are cut and seed material is selected from amongst the best of the lot for the next year’s turmeric production. 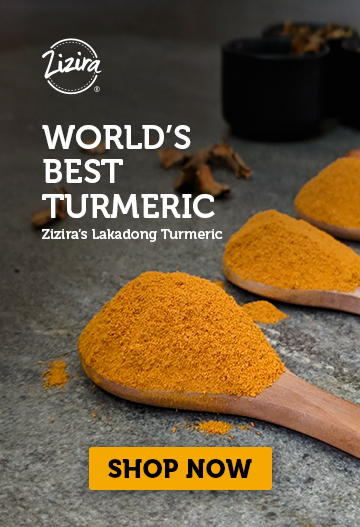 At Zizira we research and source Lakadong turmeric only from where they grow best and naturally. These are the regions where growers have preserved their traditional practices, continuing them to this day. You can discover some of them on our website where you will also see the range of products we have for your health and well-being.